Five activists are potentially facing jail after blockading an Israeli arms factory in the English West Midlands earlier this year, forcing it to close for two days. The UK activists are accused of breaching the Trade Union and Labor Relations Act. They face up to six months in jail and a fine of up to £5,000 (US$6,400). The protesters were arrested in July after protesting outside the UAV Engines Ltd plant in Shenstone. The firm is a subsidiary of Israeli drone manufacturer Elbit Systems. Palestine Action, the group behind the protest, said all of the accused would plead not guilty. “[The protesters] believe that the factory is complicit in illegal activity and that they were preventing a crime,” the group’s Birmingham and Manchester branches said in a statement. 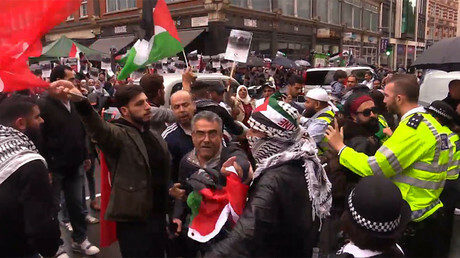 The protesters say they oppose the UK “colluding” in Israel’s “ethnic cleansing” of Palestinians. They want the West Midlands plant closed down for good. A lawyer for the protesters said “the lawfulness of [Elbit and UAV Engine’s] activity in its factory” would be discussed during the case. Huda Ammori of Palestine Action told RT: “Elbit systems is complicit in violations of international law, Israel has continued to violate international law for decades without any sanctions being imposed. “Therefore, protests at Elbit systems are a reminder that the people will support the Palestinian people even if international governments fail to. Another protester, Adie Mormech, who has lectured in Gaza, criticized the UK for standing by. “Palestinians are being violently forced off their land, regularly bombed and those that remain are treated, according to Archbishop Desmond Tutu who has been to Palestine, worse than the blacks in South Africa were under Apartheid rule,” he told RT. Mormech says two of his students were killed in the 2014 war. He said drones are frequently seen hovering over the Gaza skies. “When you make profit from selling weapons for use on a civilian population, like those in Gaza, you are complicit in the carnage and mass murder that takes place there,” Mormech added. Andrew Smith of Campaign Against Arms Trade (CAAT) called on the UK government to halt the sale of arms to Israel. “For decades now the UK has provided extensive political and military support for the Israeli military. 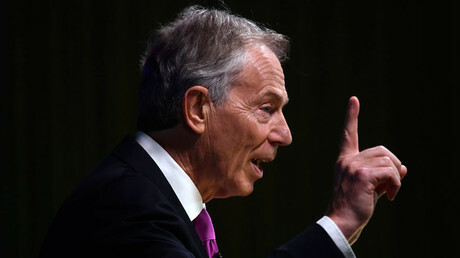 The toll of the occupation has been devastating for Palestinian people and arms dealers have profited from that pain every step of the way,” he told RT. In August 2014, Israel launched its most destructive military operation against the Palestinians in Gaza, known as Operation Protective Edge. Up to 2,205 Palestinians were killed and more than 400,000 were displaced. 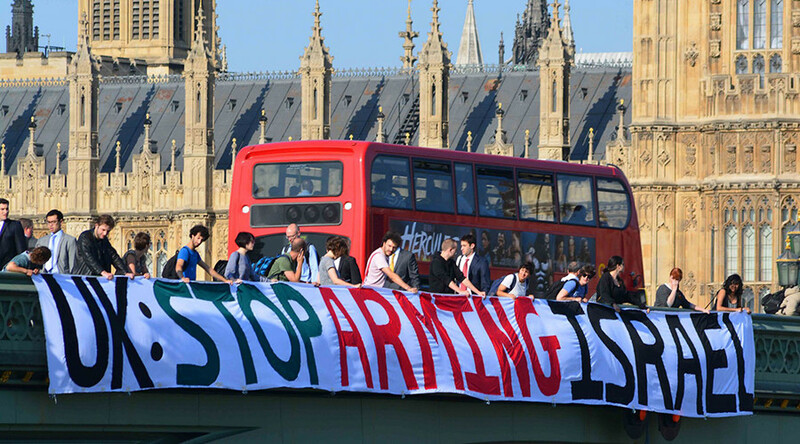 Since the Gaza bombardment in 2014, the UK has licensed £140 million worth of arms to Israel. “It has been three years since Operation Protective Edge saw thousands killed, and yet the arms sales have continued,” said Smith. Elbit produces a variety of military equipment, including drones, aircraft, weapons control systems and artillery. The Haifa-based company’s customers include the Israeli army, the US Air Force, the British Royal Air Force and the French Defense Ministry. European banks and financial institutions boycotted the company on several occasions for its provision of arms to the Israeli army. Another protest has been organized for September 13, the day the accused will give their pleas at Cannock Magistrates Court.